Draft: 2015, Los Angeles Angels, 1st rd. Joseph Taylor Ward...On Twitter: @Warrdyboy7...Named First-Team All-Mountain West in 2015 with Fresno State (a back-to-back All-Mountain West Conference selection)...Started all 59 games for FSU and ranked among Bulldogs' leaders with a .304 (65/214) average (3rd), 14 doubles (2nd), seven home runs (T1st), 42 RBI (1st) and 104 total bases (1st)...Successfully caught 13 of 23 (56.5%) runners attempting to steal a base... In three years at Fresno State, batted .288 (157/545) with 29 doubles, 16 home runs and 98 RBI in 162 games...Threw out 33 of 55 (60%) potential basestealers. Prepped at Shadow Hills HS (CA)...A two-time first-team De Anza League honoree...Named De Anza League Most Valuable Player and first-team All-CIF as a junior...Holds school records for batting average, hits, triples, home runs and RBI... First athlete in school history to receive Division I scholarship... Signed by Angels' Scott Richardson...Originally drafted by Tampa Bay in 31st round of 2012 draft before electing to play for Fresno State. Saw action at three different levels of the Angels system, including making Major League debut with the Aug. 14...Spent time in Double-A Mobile and Triple-A Salt Lake, batting a combined .349 (131/375) with 26 doubles, 14 home runs and 60 RBI…The .349 clip ranked second overall in MiLB (min. 300 AB), trailing only Vladimir Guerrero Jr. (.381)... Began season with Double-A Mobile, batting .345 (51/148) with eight doubles, six home runs and 25 RBI before being promoted to Triple-A June 2…Hit .345 (80/227) with 18 doubles, eight home runs and 35 in 60 games with the Bees…Was leading Salt Lake in average at promotion... Had contract selected Aug. 14th and made Major League debut that night at San Diego (2-for-3, 2B, 1 RBI)...Became the 15th Angel to drive in a run with their first hit...Finished the season with six home runs, the most by an Angels rookie third baseman since 2005 (Dallas McPherson, 8 HR)...Entered the season ranked as the Angels No. 8 prospect by MLB.com... Defensively, transitioned to third base at the start of season after playing exclusively at catcher during first three professional campaigns. 2017 marked third professional season in Angels' system...Split campaign between Single-A Inland Empire and Double-A Mobile...Combined to hit .258 (84/326) with 46 runs, 14 doubles, one triple, nine home runs and 49 RBI in 87 games...Logged a 60-to-57 strikeout-to-walk ratio across both levels...Improved OPS (.757) by 98 points from a season ago...Named MiLB.com All-Star for second straight year ... Produced a .286/.400/.387 slash line with BayBears and tossed out 28.1 percent of basestealers while posting a .989 fielding percentage...Named Angels Organizational Player of Month for August (.324, 3 2B, 3 HR, 13 RBI, 15 BB, 10 R). Spent second professional season in 2016 with Inland Empire...Played in 123 games for 66ers (made 90 starts behind plate)...Committed just five errors (.994 pct.) and threw out 48 of 125 basestealers (38%) ... Slashed .224/.283/.259 with one homer, 20 RBI and a 41-to-17 strikeout-to-walk ratio in 60 first-half games... In 63 contests after break, posted a .274/.359/.415 slash line with nine home runs, 36 RBI and 31 walks... Connected for seven home runs and 20 RBI over his final 32 games ... Set career highs with two home runs and four RBI vs. Lake Elsinore on Aug. 18, 2016 ... Played with Scott sdale Scorpions in Arizona Fall League in 2017 & 2016 ... Ranked as Angels' top prospect for 2016 and #6 prospect for 2017 by Baseball America...Was seventh catcher in franchise history selected in first round and first since Hank Conger in 2006. April 15, 2019 Los Angeles Angels optioned 3B Taylor Ward to Salt Lake Bees. April 8, 2019 Los Angeles Angels recalled Taylor Ward from Salt Lake Bees. 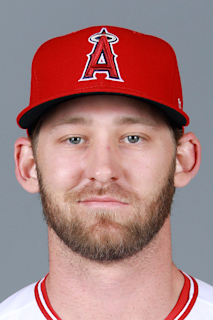 March 22, 2019 Los Angeles Angels optioned 3B Taylor Ward to Salt Lake Bees. August 14, 2018 Los Angeles Angels selected the contract of Taylor Ward from Salt Lake Bees. August 13, 2018 Salt Lake Bees placed 3B Taylor Ward on the reserve list. June 2, 2018 3B Taylor Ward assigned to Salt Lake Bees from Mobile BayBears. May 22, 2018 Mobile BayBears placed 3B Taylor Ward on the 7-day disabled list. February 6, 2018 Los Angeles Angels invited non-roster C Taylor Ward to spring training. July 20, 2017 3B Taylor Ward assigned to Mobile BayBears from Inland Empire 66ers. May 3, 2017 Inland Empire 66ers activated C Taylor Ward from the 7-day disabled list. April 5, 2017 Inland Empire 66ers placed C Taylor Ward on the 7-day disabled list. February 2, 2017 Los Angeles Angels invited non-roster C Taylor Ward to spring training. April 6, 2016 C Taylor Ward assigned to Inland Empire 66ers from Salt Lake Bees. March 22, 2016 C Taylor Ward assigned to Salt Lake Bees from Burlington Bees. February 2, 2016 Los Angeles Angels invited non-roster C Taylor Ward to spring training. August 6, 2015 C Taylor Ward assigned to Burlington Bees from Orem Owlz. June 16, 2015 C Taylor Ward assigned to Orem Owlz. June 12, 2015 Los Angeles Angels signed C Taylor Ward.